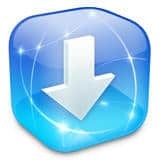 Best ios development tools Installer is out with new version. Do you want to know what else is new? Cancelable tasks: certain tasks now can be cancelled by sliding your finger across it in the Tasks window. Progress indicator in the source refresh task. Updated infrastructure for the upcoming InstallerApp. Available in the Installer near you 😉 Enjoy.